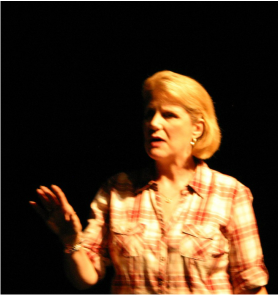 Gary and Mary Beth are both educators with a combined 30 years of experience teaching acting and conducting workshops for both beginning and experienced actors. Additionally, we offer Public Speaking for Non-Actors. We have experience working with both young people and adults, and would love to share some of our insights with the actors and potential actors in your community. Beginning Improv: Loosening Up and Being open to "Yes! In depth classes include Script Analysis, Scene Work and Characterization. Gary is also available to coach on an individual basis for those preparing monologues for college or repertory auditions. We are open to your ideas and can tailor a workshop or class to your group's needs, no matter the skill level. If your theatre or school has never offered classes, starting with a two hour workshop is a great introduction to the process for both adults and young people. In addition to our work as faculty members and directors of performance classes and camps at Grand Rapids Civic Theatre we have led workshops for CTAM (Community Theatre Association of Michigan), the Lowell Area Arts Council, and other private organizations.